A 2015 Pew survey reported that the total number of Catholics in the United States dropped by 3 million since 2007, now comprising about 20 percent - or one-fifth - of the total population. Catholicism is losing more members than it gains at a higher rate than any other denomination – a recent development which the radical progressives at Salon celebrate. Why is this an issue that should worry Americans and the Western world at large? One key reason is that the fastest-growing religion in the country and around the world is Islam – something Salon radicals also no doubt celebrate. But the fundamentalist brand of Islam that is once again on the rise is antithetical, indeed openly hostile, to the values of Western civilization, and for many centuries Catholicism as a central component of European identity was a bulwark against its spread. But for various reasons the West has lost confidence in its cultural identity and moral authority in recent decades, and the result has been submission to decadence, to cultural Marxism, and to Islam. If we are to reverse a civilization in rapid decline, we must undertake a resurgence of Western exceptionalism with a militant Christian ethos at its core. 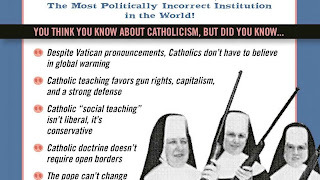 For Catholics who have backslid or grown apathetic, that means waking up to what is at stake, and then making a renewed commitment to understanding and manifesting the tenets of their own religion, a religion that has been steered toward emasculation, socialism, and interfaith suicide by the radical left. For non-Catholics as well – even atheists – it means acknowledging how crucial a revivified Christianity is to a defense of Western civilization, and educating themselves about the myths and realities of Catholicism. 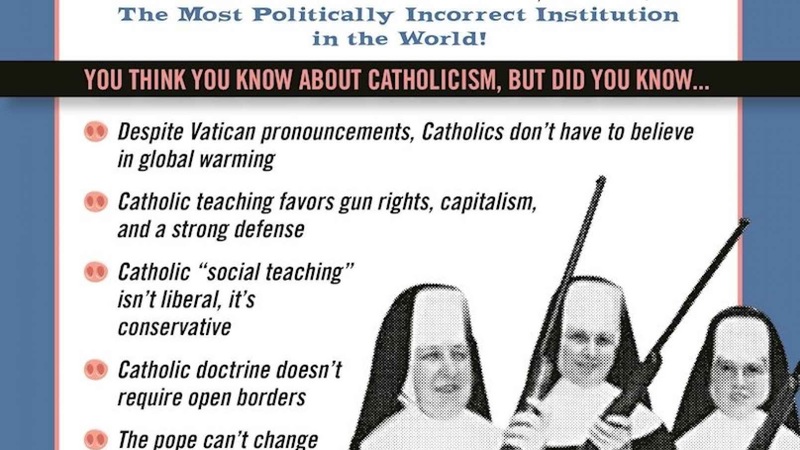 Enter John Zmirak’s timely book, The Politically Incorrect Guide to Catholicism, published by Regnery. Zmirak is an editor, teacher, screenwriter, political columnist, and the author of the popular Bad Catholic's Guides and The Race to Save Our Century: Five Core Principles to Promote Peace, Freedom, and a Culture of Life. 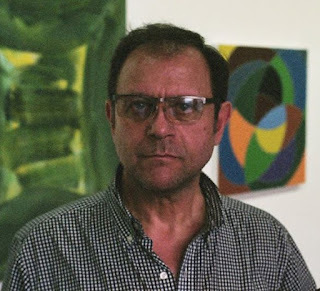 His work has appeared in First Things, The Weekly Standard, USA Today, and FrontPage Magazine, among other venues. In October of that year, he outed himself as the man behind the controversial Twitter account, and “all hell broke loose.” He swiftly found himself the target of shunning and harassment from his colleagues and the NYU administration. In true Cultural Revolution fashion, several colleagues in his department in the Liberal Studies Diversity, Equity and Inclusion Working Group published an open letter declaring him guilty of incorrect thinking. “The thing that is interesting here is that they were saying that because I don’t think like them, I am sick and mentally ill,” Rectenwald said to the Daily Caller. Instead of kowtowing to the campus totalitarians, Rectenwald declared himself done with the Left in a February 2017 tweet (“The Left has utterly and completely lost its way and I no longer want anything to do with it.”) and has gone on to be an even more fervent defender of free speech and academic freedom. He has appeared often in conservative media to discuss those issues and the harassment he has received from the Left. Recently Rectenwald even filed a lawsuit against NYU and four of his colleagues for defamation. He consented to answering some questions for FrontPage Mag about his conflict with the NYU ideologues. Mark Tapson: A year ago on Twitter you wrote, “Goodbye to the Left, goodbye.” Can you describe your intellectual journey from “left-liberal activist” to outspoken “deplorable” and what drove that seemingly sudden transition?